In today’s world, social media is a main source of getting your ideas, passions, hobbies, information and more seen by millions of people around the world. 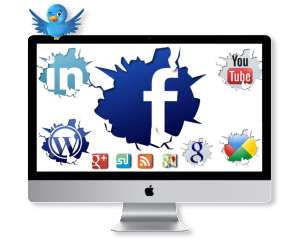 If you have your own website or blog site then using social media can be a key component in driving traffic to your website or blog site. 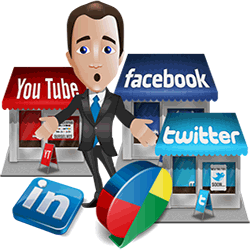 The many social media websites, especially the larger ones like Twitter, Facebook and Google+, have millions of people that use them daily. This means the potential to get your posts on these websites seen by all these people is huge. Now, I for one, can understand why so many companies, websites and people make many postings on these social media sites. However, when do the number of Tweets, Shares and every other postings become just too much? When and where is the line drawn between doing great promoting and going too far? The answer doesn’t really have a definite line as to what is too much and what is adequate. Without a definite answer, as it’s impossible to determine exactly, each person, company and website needs to think about what message they want to send to their followers, friends, etc. on these social media websites. Personally, I have seen companies, websites and to a lesser degree, people post hundreds, and even thousands of Tweets, Shares, etc., each and every day. To me as a follower, friend, etc., I just think that this many Tweets, shares, etc., is just way too much. Do you really need to have that many posts each and every day to get your message or information out to all of your followers or friends? I completely understand that social media helps to get across what you want people to see, but that’s just overdoing it to an extreme. As an example, when I am looking on twitter to see what the people, companies, websites, etc. that I follow have posted, it’s way to much to look through hundreds or even thousands of Tweets to see what’s been newly Tweeted, so I just don’t even look past the first 10-20 Tweets from all who I follow and if I don’t see anything that interests me, then I just don’t bother looking at everything else since I don’t want and don’t have the time to look through thousands of Tweets. Who really has that kind of time these days? Now, since most people, myself included, don’t have an abundance of free time these days to look through hundreds and thousands of Tweets, Shares, etc., a lot of these are not going to be seen by their intended targets and that defeats the main purpose that these companies, websites and people are trying to achieve with their abundance of Tweets, Shares and other postings on these social media websites. Given that most people just don’t have the time to go and see that much Tweets, Shares and other postings, perhaps the offenders of this information and postings overloads should reconsider just how much different things that they want to try to be seen by all their followers, friends, etc. every day. Maybe just back off and concentrate on quality Tweets, Shares, etc., instead of a large mass of quantity of these. I think that most people will respect that and be more likely to read and check out what you are sharing with them by approaching them this way instead of carpet bombing them with too much information! Next Post: Why you need a Great Domain Name!